Are there too many branch campus headlines? Not quite. International branch campuses receive a lot of attention for their motivations, successes and failures. In addition, some recent big-name endeavours like New York University Shanghai and Yale-NUS College in Singapore add to the perception that more institutions are building overseas campuses. In reality, branch campuses form only a small proportion of the internationalisation activities and models of transnational education engaged in by institutions. For example the United Kingdom, which has been promoting transnational education as part of its national strategy, reports that only 3% of its 600,000 students studying wholly overseas for a UK qualification in 2012-13 were enrolled in an overseas campus of a UK higher education institution. In contrast, one out of five students pursued a UK degree through a distance learning programme. If the goal of the global engagement strategy of a higher education institution is to be truly ‘global’ and to ‘engage’ learners from many countries in a cost-effective, controllable and flexible manner, then online and open learning cannot be ignored. A recent report shows that the Massachusetts Institute of Technology, or MIT, is shaping its internationalisation future around its prior initiative like OpenCourseWare and now edX. It forecasts a future where education will be unbundled and degrees will be disaggregated “into smaller credential units such as course credentials, sequence credentials, and even badges” with the possibility that “the credentialing entity may be different from the institution that offers the course”. Leaving aside the tedious unbundling rhetoric it is right to observe that internationalisation is a multifaceted strategy for any university and there is much more to being a global university than just branch campuses. However, there are many such campuses around the world of many different kinds. 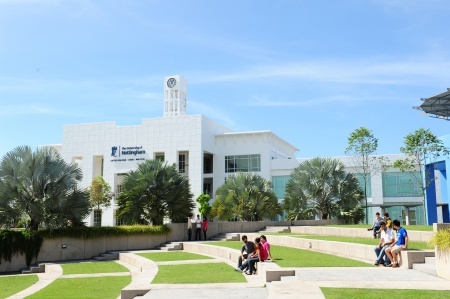 For example, the University of Nottingham’s Malaysia Campus (UNMC) is home to some 5,000 students and over 450 staff, located at the edge of Kuala Lumpur in a breathtakingly beautiful setting and the University of Nottingham Ningbo China (UNNC) campus houses over 6,000 students and over 400 staff). Both campuses are larger than a good number of UK HE institutions and are already, despite their relative youth (UNMC became the first overseas campus of any UK university some 14 years ago and UNNC was founded in 2004), they are already punching significantly above their weight in both research and teaching in their host countries. OBHE, in its most recent report, identifies some 200 or so branch campuses around the world with another 37 at least in the pipeline. It is likely that many more have been initiated since this report was published. However, very few of these are of the scale, breadth or depth of the Nottingham developments and many are much smaller scale operations with teaching delivered in rented office accommodation by staff who fly in for a few weeks before flying back home again. The reality is that despite their scale and success these campuses really do not get much attention. Rather the nascent developments of NYU in Abu Dhabi and Duke University in China seem to grab all the headlines despite their small scale. (Not that I’m at all cross about that.) This does therefore give a rather misleading impression of international branch campus activity. Our academic staff on all campuses are international in composition (25% are international) and outlook too. More than one in five of our undergraduates undertakes international mobility. 17% of published research outputs are internationally co-authored and 37% of our research funding is obtained internationally. We have strategic partnerships with other leading universities in over 25 countries and one of the largest scholarship programmes for students from the developing world. And we do distance learning and offer a number of MOOCs too. 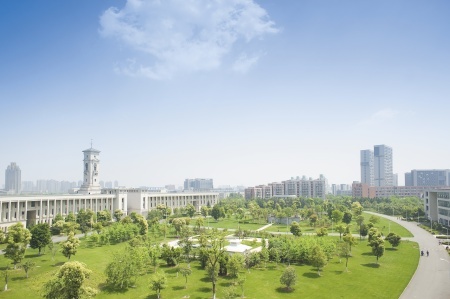 So, there is a lot more to an international university than just branch campuses but, in context, it is clear that serious international campus activity can be a key component of a global strategy for a university. If only they got a bit more attention.